With more than fifty million sold, Sophie the Giraffe, the wildly popular toy from France, is a fixture in nurseries all over the world. A favorite among moms, Sophie the Giraffe is a popular shower gift, and has garnered praise from parents everywhere. Now come the first ever licensed Sophie the Giraffe books- the perfect accompaniment to the winsome toy! 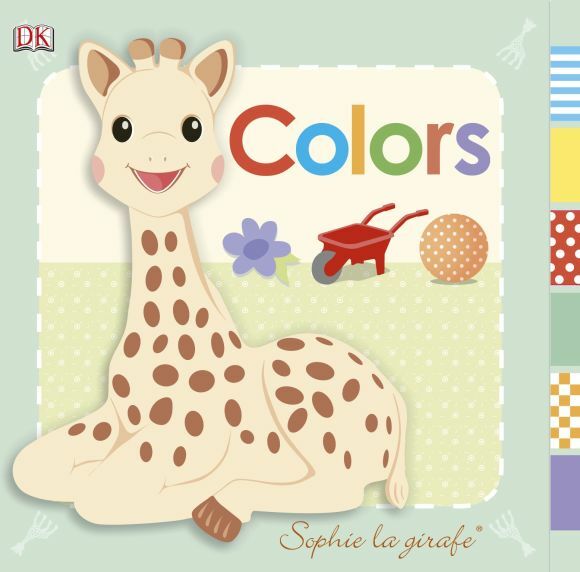 Packed with bright, lively pictures, and large, simple text, all the colors of the rainbow come alive in this board book, Baby: Sophie the Giraffe:Colors.